We can provide a memorial or cremation tablet for our local cemeteries and churchyards and we would be happy to advise you on local restrictions and regulations. 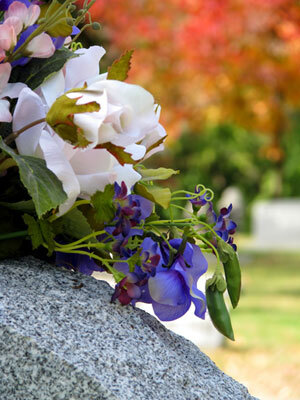 We can also prepare an estimate for one that you may have seen at the cemetery or from one of our brochures. How many further inscriptions would be required? If a flower vase is required, if so how many? We advise allowing six months to elapse from the date of the funeral until the memorial is placed. Please be aware, it can take around 3 months from the date of order to completion. If required, we would be very happy to supply a temporary grave marker vase in the meantime. Please note: George Scott funeral services do not charge V.A.T. on the above costs. Neil Scott, great-grandson of the founder George Scott, continues the family tradition of service. Our qualified and well experienced staff will give sympathetic and professional attention, to guide bereaved families through the many choices that are available.